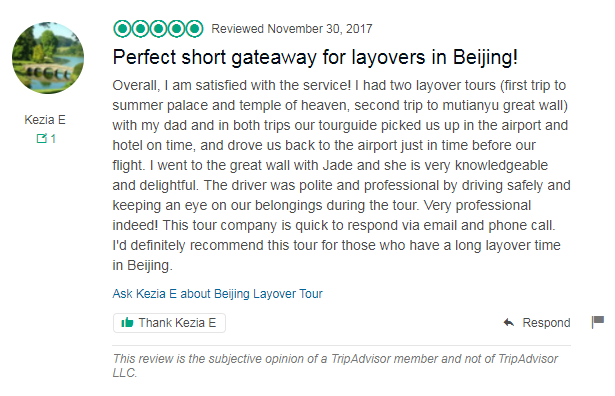 Tour Description: Meet our English-speaking tour guide in time at the arrival hall of Beijing airport. Drive to the Summer Palace, a famous royal garden where the Chinese emperors and their concubines spent their leisure life. Take a Dragon boat in Kunming Lake is an optional. 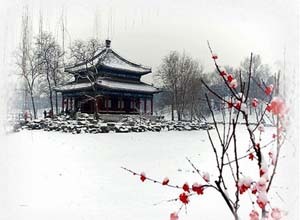 Then head for the Temple of Heaven in South Beijing, an impressive large-scale architecture, where the Chinese emperors held grand sacrifice ceremonies to worship heaven. Transfer back to airport to catch your next flight after the trip. End of our service and thank you for using our service. I emailed about the price of this trip for one person but didn’t get a response. My trip is in less than a week. So please email me! We have already sent the email to you on May 14, 2014. We resent you again today.